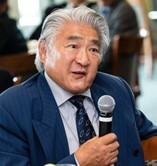 Dr. Li Shiguang worked for the United Nations Secretariat from 1967 to 1998 where he handled legal and policy issues of environmental law, treaty-making, human rights, lawof the sea, international humanitarian law, and settlement of disputes. He also trained legal advisers and diplomats in multilateral negotiation. He was the Executive Secretary for the United Nations Diplomatic Conference on the Establishment of an International Criminal Court; Director of the Legal Office for the codification and development of international law; Secretary of theInternational Law Commission; and Secretary of the Sixth (Legal) Committee ofthe General Assembly. He taught international and environmental law as aprofessor (adjunct) at Columbia Law School (1997 and 2014) and Yale University School of Forestry and Environmental Studies (2007-2018) and had been visiting professor or given lectures at different universities and academic institutions worldwide. He has published and edited nine books and some thirty articles on various topics and issues of international law.